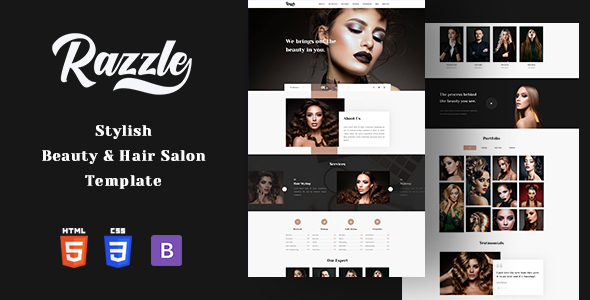 Razzle is a Responsive, One Page , and Retina enabled website template built using Bootstrap 4+ framework along with HTML5 and CSS3 for Hair & Beauty Salon Responsive HTML Template purpose. Designed to give your brand or service an air of artistic style and luxury, this template is built to attract class conscious clients to you. 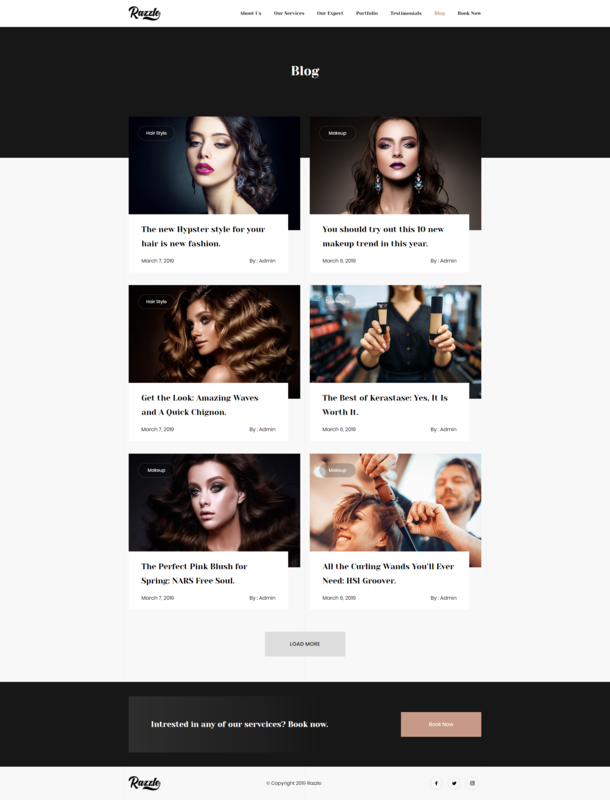 Note: All stock images are for preview purposes only and are not included in the download package Every Code is properly commented for Editing Ease.